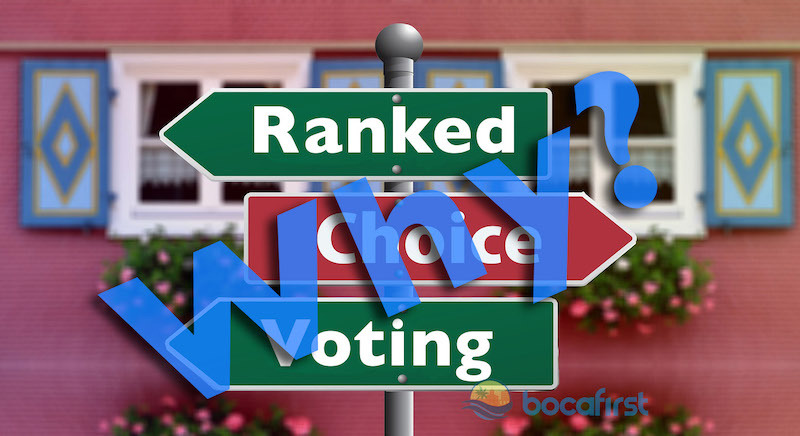 Ian McDougall’s article on Ranked-Choice Voting (RCV) sparked my interest in this alternative to the plurality voting system used in Boca Raton and most cities around the country. Under the plurality system, every citizen votes for a single candidate and whichever candidate receives the most votes wins. Under plurality voting a candidate wins only by getting more votes than any other candidate. It’s a win even if their total votes fall short of a majority. This occurred last August in the three-way race for Seat A in last August’s Boca Raton City Council election. Under RCV, instead of voting for a single candidate, voters rank candidates in order of preference. Suppose several candidates are running. Ballots are counted based on their first choice. If some candidate receives a majority, she wins. Alternatively, if no candidate receives a majority of first choices, the candidate with the fewest first choice votes is eliminated and each ballot he received is added to the total of the ballot’s next choice. The process continues until some candidate receives more than half of the active votes among all remaining candidates. This means citizens can vote for – that is, rank – the candidates they support without having to vote for those they do not support. RCV is also called instant-runoff voting. In the standard two-round runoff election, if no candidate receives a majority of votes in the first round, a single runoff round is held between the two top vote getters. Whichever of these two candidates receives the most votes in this runoff round wins the election. Unfortunately, this process eliminates all but the two top vote getters in one fell swoop, and the runoff round is time consuming and costly to both the city and the candidates. As noted previously, Boca does not hold runoff rounds at all, but rather decides the winner solely based on plurality. In contrast to a conventional runoff held on an election day, instant-runoff voting (RCV) simulates a series of runoff elections – not just a single runoff involving only two candidates – and does so without the cost in time and money of holding additional rounds of voting. Moreover, RCV ballots are valid even if they rank some but not all of the candidates. This means citizens can vote for – that is, rank – the candidates they support without having to vote for those they do not support. Under RCV, someone ultimately wins because one candidate is eliminated in each round. In practice, elections are often resolved after only a single round, or after no more than two or three rounds. When there are only two candidates, RCV works the same as plurality voting: Whichever candidate receives the most votes wins. Consider a three-candidate race in which two of the candidates jointly appeal to the majority of voters due to similar political positions or for other reasons. Under plurality voting, the two candidates may split the vote, allowing the third candidate to receive a plurality and win, despite being the least favorable candidate. In contrast, under RCV, the unfavorable candidate would be less likely to win because most ballots are likely to rank him last. Compared to plurality voting, instant-runoff voting reduces the impact of dividing votes among like-minded candidates. A spoiler is a candidate whose purpose is not to win the election but to draw votes away from a particular legitimate candidate. Under plurality voting, a spoiler candidate can draw away enough votes from the legitimate candidate they oppose to hand a plurality (and a win) to a third candidate they surreptitiously support. Spoilers are less effective under instant-runoff voting since voters sympathetic to the position professed by the spoiler tend to give high ranks to both the spoiler and the legitimate candidate she targets. Because RCV is effective at neutralizing spoilers, its use discourages special interests from sponsoring spoilers in order to manipulate an election’s outcome. This results in elections in which all of the candidates have a sincere interest in winning and then serving, and whose outcome better reflects the voters’ will. In addition, RCV reduces the incentive for negative campaigning because legitimate candidates are better served by seeking second-place votes than by attacking their opponents. No voting system is perfect. However, as measured by a range of accepted principles for fair voting, RCV is much better than the plurality system. It has been adopted by a number of cities concerned about administering elections that are fair and honest. It’s a voting system that could serve Boca well. You can find more information on RCV at fairvote.org. 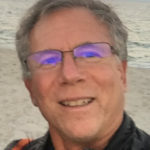 Michael Laszlo was born and raised in South Florida, and has lived in Boca Raton full time with his wife, Elisa, since 2015. He is a professor of computer science at Nova Southeastern University. His interests include running, swimming, kayaking, and reading.